In his renowned dystopian novel 1984, which was published in 1949, social injustice writer George Orwell wrote the famously ominous line, “Big Brother is watching you.” Fast forward to today, and what was once science fiction is now reality. 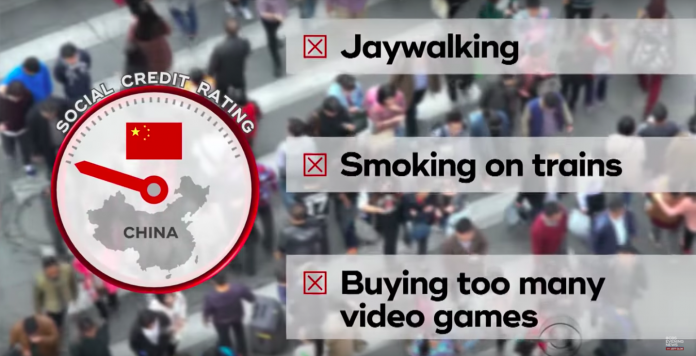 Under China’s all-seeing Social Credit System, which will be fully operational in 2020, cameras and apps monitor citizens’ every move and grade them accordingly – those with high “national citizen scores” will reap many benefits while those who score low will be punished. On June 14, 2014, the State Council of China published a document called “Planning Outline for the Construction of a Social Credit System”. It defined a mandatory system for all citizens that would monitor their behaviour and award or punish them appropriately. Though the Communist Party announced that the system will be fully functioning in 2020, it has already been piloted for millions of people. Trial systems are now in various stages of development in at least a dozen cities across China. Some scoring methods are done by city councils, and others use private tech platforms which store personal data. A person’s social score can improve and fall depending on their behaviour. In one current program, each citizen has been assigned a score out of 800. In other programs it’s 900. These scores are updated in real time – cameras and apps look at what you purchase, what you spend your time doing and even who you spend it with. Good behaviour – such as doing well at work, exercising regularly, buying healthy food, paying one’s bills on time and observing good driving practices – drives citizens’ scores upward, while infractions that can lower your score include playing too many video games, smoking in non-smoking zones, indulging in frivolous purchases, buying too much alcohol and bad driving. The company you keep – your friends and family – can also affect your score. If someone you are close to says or posts something negative about the government, you stand to lose points as well. Who you chose to date, partner with or marry will also affect your social credit. Those with top national citizen scores get VIP treatment wherever they go. Some of the benefits that high scorers (or “good citizens”) can look forward to are 1) Easy qualification for cheap loans, 2) fast routes to top universities, 3) offers for the best and most high-paying jobs, 4) eligibility to rent or purchase houses in the best neighborhoods, and 5) preferential treatment at airports. In turn, those whose scores are low because of bad behaviour can expect severe punishments such as 1) being banned from taking the train or flying, 2) being barred from getting financial credit and government jobs, 3) having personal internet speeds slowed down by the government, 4) having oneself or one’s children disallowed from enrolling in the best schools, and 5) being prohibited from renting apartments and houses in nicer areas. To top it all off, there is always the added punishment of being publicly labeled as a “bad citizen”. As China moves forward to become the world leader in artificial intelligence, the new Social Credit System will be supported and enforced by the latest high-tech surveillance systems. This includes cameras, which will utilize geo-tracking, facial recognition and body scanning to constantly monitor citizens in real time, and smartphone apps, which will collect personal data and track online behaviour on a day-to-day basis. Additionally, more traditional sources like government files, educational scores, medical records, security assessments and personal financial records will provide data that will contribute to citizens’ national scores. Different companies are also working with the state to co-ordinate and configure the technology, nationalize the system and finalize the algorithms that will determine the national citizen score. 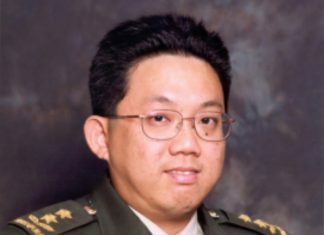 China’s Social Credit System – monitoring every move and action of more than 1 billion people – could quite possibly be the largest social engineering project to ever be attempted. And when you think you are alone, remember – CHINA IS WATCHING YOU.